birthday boy… | her powder room! ← sleep like a baby..
We promised not-to-exchange gifts this year, since the imlek event is near! But a cake won’t hurt, right? In front of the cupboard, the steward ask me, what do you want to buy, miss? The opera, tiramisu, chocolate devils or chocolate tiramisu? The clock was ticking so fast, and with a blink of an eye, it’s already 5 o’clock. Need to fill our stomaches with hoka hoka bento and shared our life together. A great conversation, lots of laughs and big words were shared. 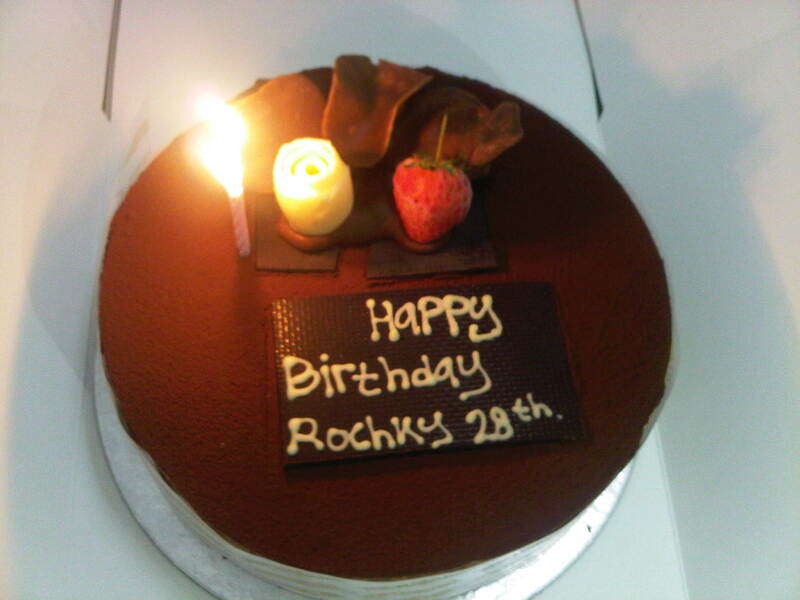 This entry was posted in Daily Babbling, Delicacies and tagged birthdayboy, chocolate devil, harvest, jakarta, tiramisu. Bookmark the permalink.